There is no way you can talk about hip hop and fail to mention the name Dr. Dre. He is one of the pioneers of the genre and has managed to steer it to where it is now. Being a music producer, he has a great influence on most of the hit songs that are released. He gave us Eminem and 50 cent who went ahead to become successful in their own right. He recently signed a deal with apple for his signature headphones “beats by Dre”. He is currently ranked by Forbes as the wealthiest hip-hop artist. Anyway, just when you thought you knew everything about this talented producer, here are some facts you probably didn’t know about Dr Dre. Dr. Dre is his stage name and comes from his first name Andre. I guess not many of you knew that. His home state is in Compton. From his humble beginnings to becoming the great man that he is today, he did defy the odds. He is perhaps the last man standing having seen generation after generation of talents come and go. Warren G is yet another well-known producer and rapper who at one time was in a rap group known as 213. The group was made up of Warren G, Snoop Dogg and Snoop’s cousin Nate Dogg. He (Warren G) is said to have been the one who introduced Snoop Dogg to Dr. Dre. Warren G has been involved in a number of successful movies too such as “Barber shop 2 and Big Momma’s House”. It probably runs in the family. He was being charged for parking tickets and Eazy-E came to the rescue. 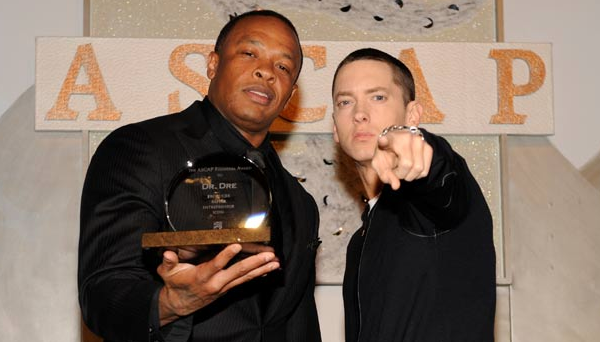 They two then came to an agreement that Dre would produce his debut single, “Boyz-N-The-Hood”. This association led to Dr. Dre becoming an in-house producer at Ruthless Records. It is here that the N.W.A was born. Daz Dillinger the original composer of the beat tells XXL of a time when Tupac was showing off that he had a song with method man and Red man and it was produced by Dre. It was may have been a harmless lie for Dre but when Tupac came to learn about the truth it was the beginning of their misunderstanding. Apparently, Tupac didn’t take it lightly. While in this group, they mainly performed at clubs and house parties in south-central region of Los Angeles. It was somehow successful but it seems Dre had bigger fish to chase. 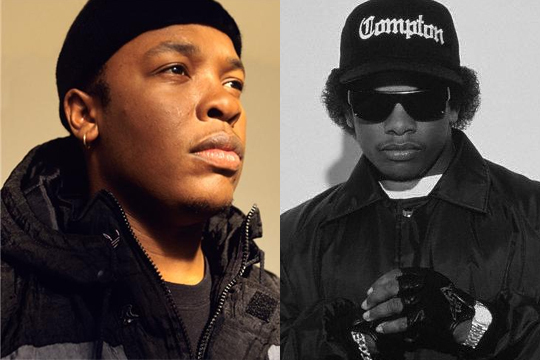 However, during their feud with Easy-E, the latter started posting some pictures of Dr. Dre while he was still in the group. In one of the pictures, Dr. Dre is seen as having put on lipstick and eye shadow. This was when he was still starting up his music career. He was a DJ for a while and used to perform at clubs that he used to attend. It suited him well. During his feud with his fellow N.W.A members, Dee Barnes interviews Ice Cube on her show ‘Pump It Up’. When Dr. Dre saw the interview, he was pissed off to the extent that when he came across Barnes, he assaulted her. She sustained some injuries and pressed charges which were eventually settled out of court. The other producer in this case is The Neptunes. This was in 2001 for ‘The Marshal Mathers LP’ album that sold 1.76 million in its first week of release. From the look of things, it doesn’t look like there is any producer who would join the two any time soon.